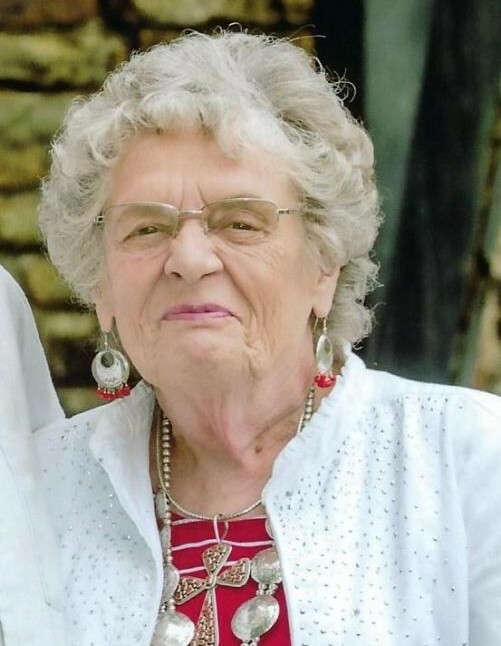 Verna Lee Hamon, 76, of Kirbyville, MO passed away Sunday, March 17, 2019 at Cox Branson Hospital. Verna was born on July 2, 1942 in Harrison, AR to Jim and Jean (Essex) France. She is preceded in death by her parents, sister Karen Simmons, son Todd Hamon, and in laws Robert and Della Hamon. Verna was a devoted Christian woman of God who loved the Lord and attended Victor Baptist Church. Verna deeply loved her husband, Gordon, who celebrated 58 wonderful years of marriage. Their love for one another was unwavering and a great example of true love. Verna attended school at Bee Creek until the 5th grade, Kirbyville, and graduated from Branson High School. She was a Polio survivor that loved to share her story of how she overcame this life-changing disease. Verna worked at the Branson Garment Factory where she would sew thousands of pockets into pants every week. She also worked at the 76 mall, Little Red Wagon, and Silvers Hills Jewelry. Verna loved to collect Native American jewelry and angels, sew, cook, enjoyed the outdoors and collecting wood for their fireplace. She is survived by her loving husband Gordon Hamon; son Chris (& Deanna) Hamon; brother Jim (& Cindy) France; brother-in-law Wiley Simmons; grandchildren Jacob (& Becca) Hamon, Megan (& Cole) Johnston, Andy Hamon, Katie (& Patrick) Dotson; and great-grandchildren Cooper, Callie, & Colter Hamon, Aspen & Xander Dotson, and Jax Johnston; and many nieces, nephews, cousins, and close friends. She loved her family and friends and always emphasized that she loved them more. The family would like to say a special thank you for all the love, prayers, and support.